Wedding Wednesday is BACK! 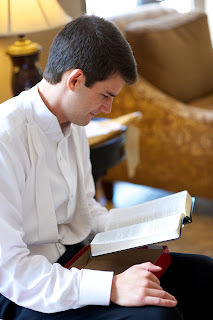 We are excited to bring a wedding story to our readers on Wednesdays. We have started something new in 2013. 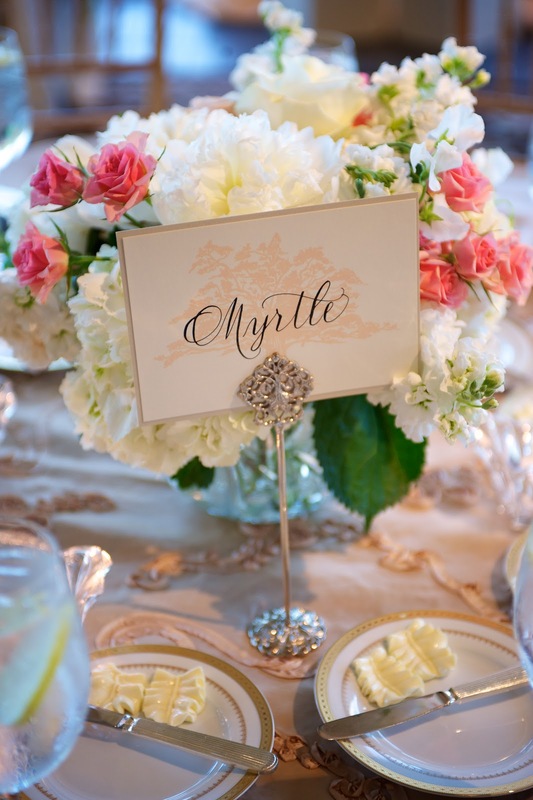 Our brides are helping me write their wedding story! 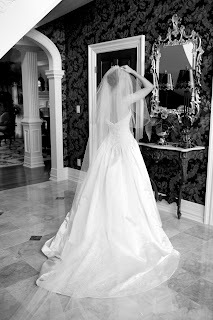 We hope you will “tune in” on Wednesdays to read about each bride’s unique and beautiful wedding. Feel free to Pin, Tweet, and post our blog to Facebook. We also love to read your comments! One of our favorite weddings is April and Will’s. 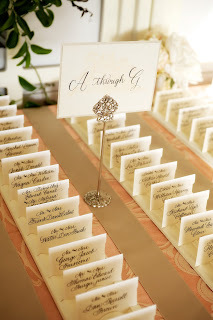 We fell in love with every detail of the Holland-Pearce wedding from the save-the-date to the reception favors. April and Will are both from Beaumont. They attended high school together and became friends and lab partners. They also attended college at the University of Texas in Austin where they fell in love. 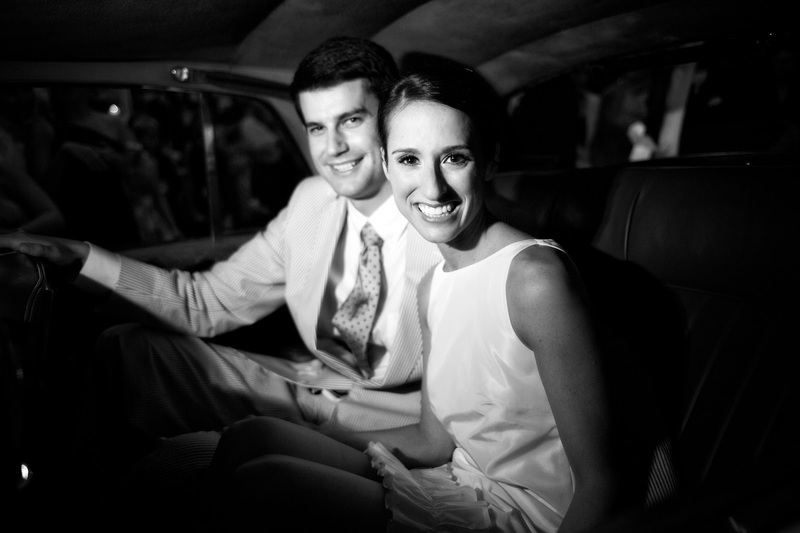 The couple decided to hold their wedding ceremony in their hometown. “We wanted all our family and friends to come together to Beaumont where our friendship and ultimately our love for each other began”. 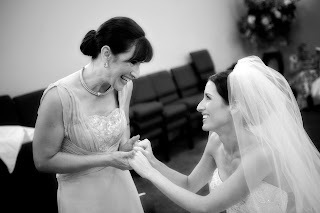 April planned her wedding down to every detail with help from her mother, Becky. 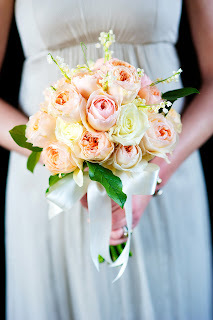 April chose peach and champagne as the colors for her southern style wedding. We are so pleased she chose HH Design House to help create her wedding dream! 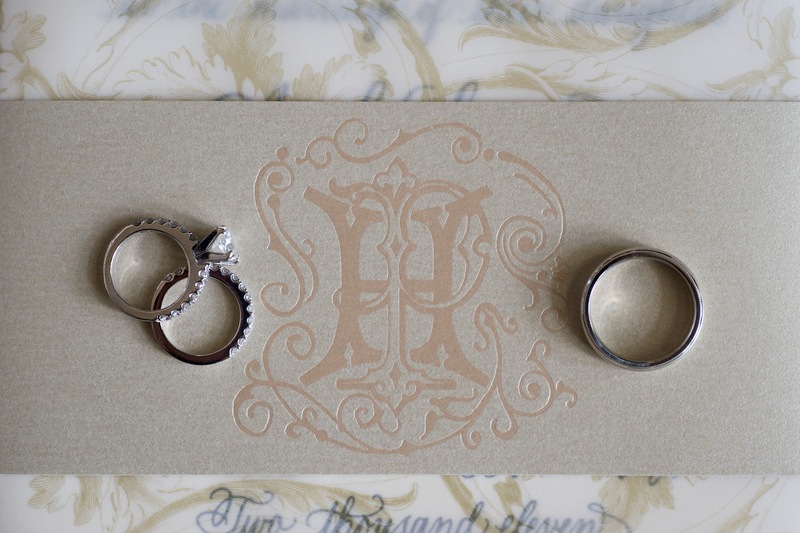 Our first project together was to create not one, but two monograms for the couple. 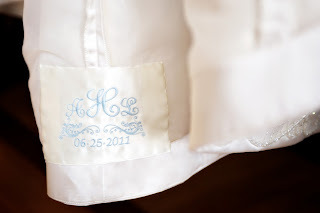 One would be designated a “pre-marriage monogram”. “It had an H and P intertwined signifying the Holland and Pearce families coming together. After the ceremony, we still used that same monogram, but it was slightly different in that it was our married monogram.” The “April and Will” monogram would be used after the ceremony symbolizing their union. It incorporated their first initials with their now shared last initial “P”. 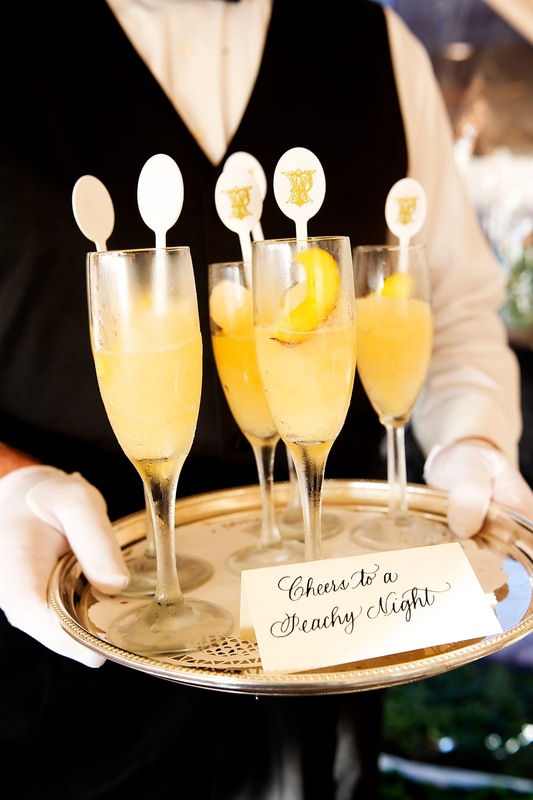 It was used during and after the reception. 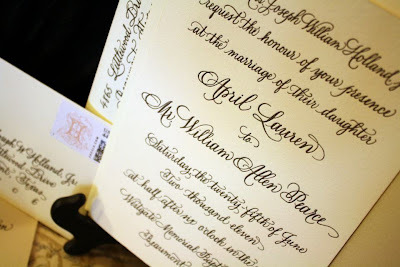 April and Will’s save-the-date cards were designed by HH Design House. 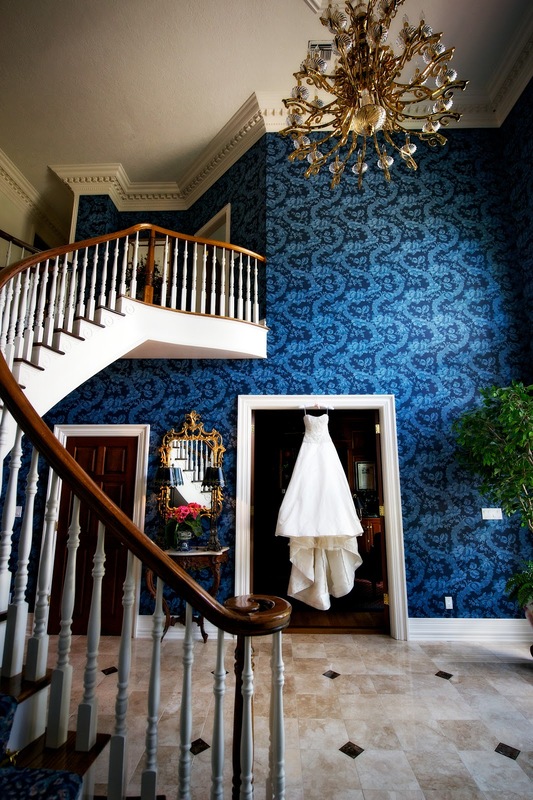 Trees were a motif used throughout the wedding. On one side the announcement included a photograph of a Live Oak draped in Spanish moss. This tree stands outside the Beaumont Country Club where April and Will’s reception was held. 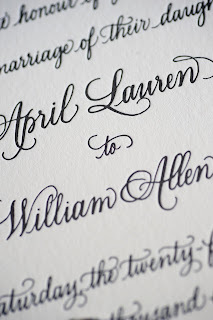 The other side featured the couple’s names in Hayley’s calligraphy along with the custom pre-wedding monogram. These were mailed to guests in a clear plastic sleeve. 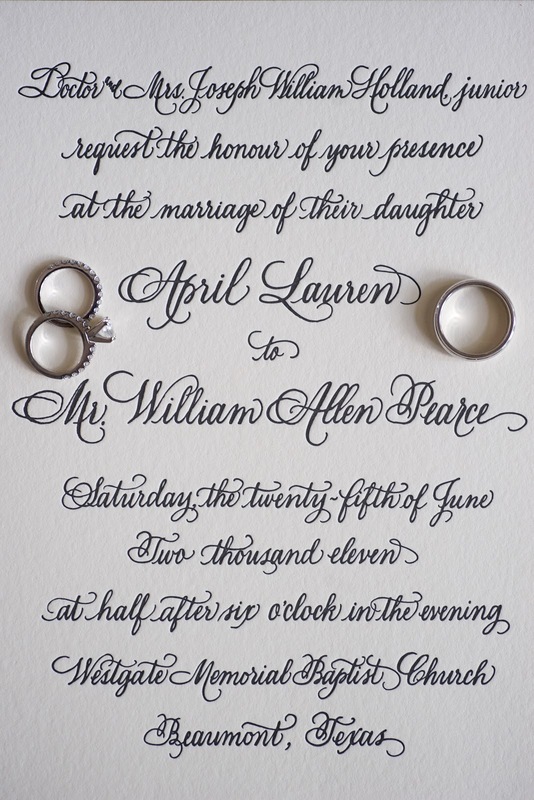 Invitations to the Holland-Pearce wedding were also written in Hayley’s calligraphy in a soft black letter press on ecru cotton paper. 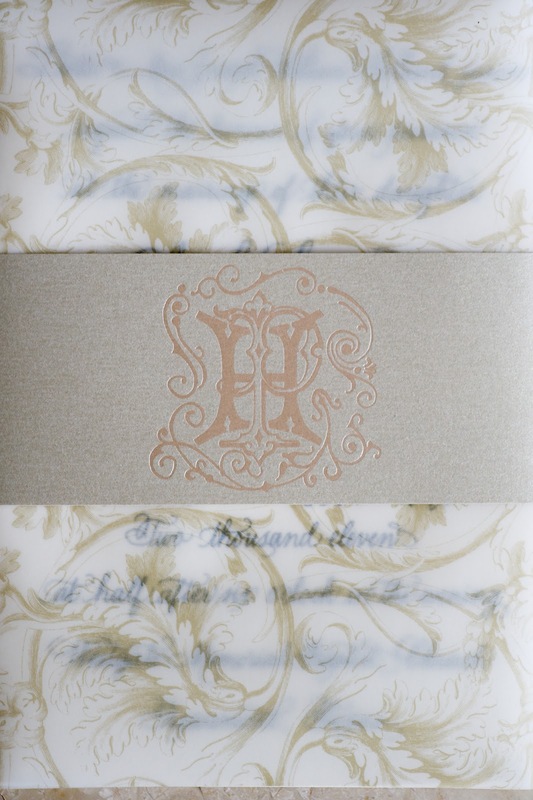 A layer of gold leaf patterned velum was placed on top of the invitation and secured with a champagne belly band. 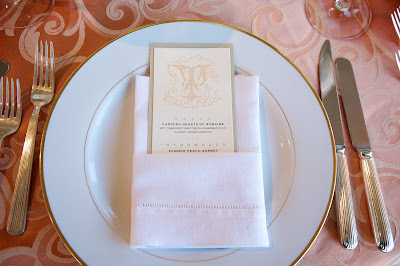 The bellyband included a “pre-wedding monogram” foil stamped in peach pearl. It also held the matching RSVP card and reception card. Inner envelopes and champagne lined outer envelopes were addressed by hand by Hayley. 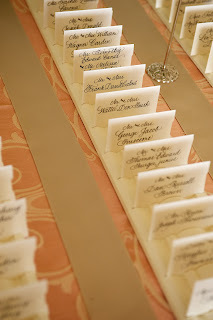 Both RSVP envelopes and outer envelopes were topped with a special “pre-wedding monogram” postage stamp. As guests arrived in Beaumont, they were greeted with a welcome bags designed by HH Design House. The canvas bags had a champagne tree printed on the front. Inside the bags were Texas treats, bottled water affixed with labels designed by HH Design house, and welcome packets. The welcome packets, also designed by HH Design House, included a sweet note from the couple along with itineraries for the guests during their stay in Beaumont. 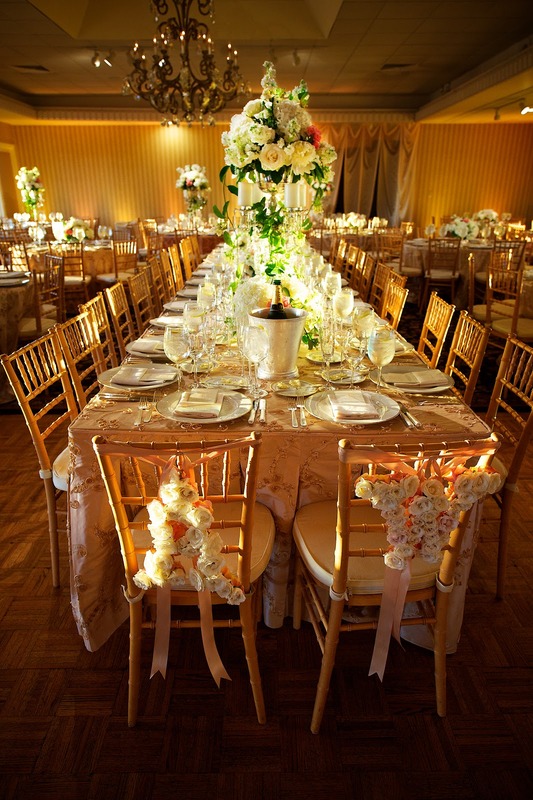 The wedding party included friends and family of the bride and groom. 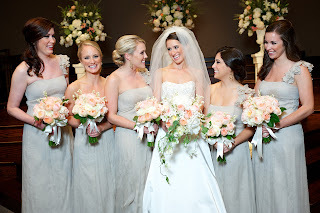 The maid of honor was Ms. Carline Squires who went to law school with April. 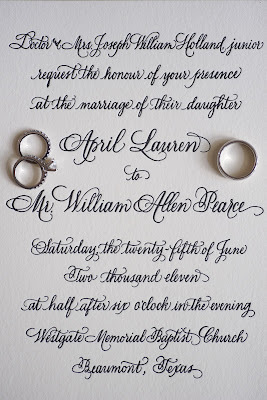 The best man was his father, Mr. Dennis Pearce. 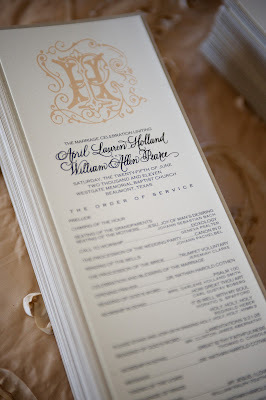 Each guest held a program designed by HH Design House with the “pre-wedding” foil-stamped peach monogram signifying the unity of the Holland and Pearce families. 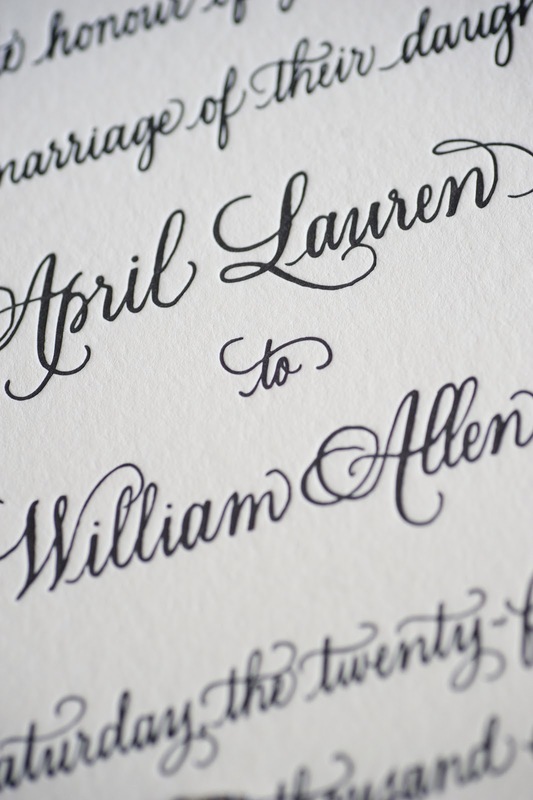 April and Will’s names were written in hand calligraphy. 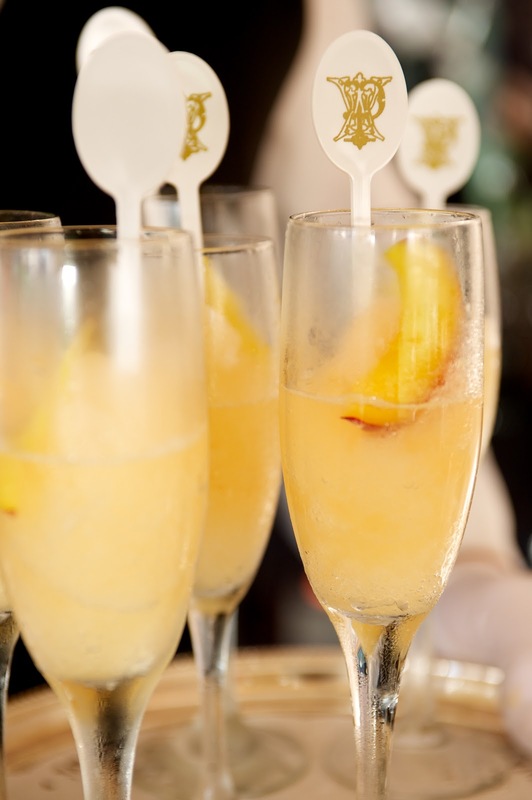 The program was ecru with a champagne backer. 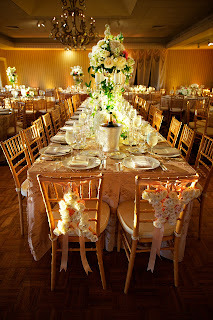 “I also loved when Will and I got to see the reception space for the first time. All our guests were downstairs for cocktail hour. 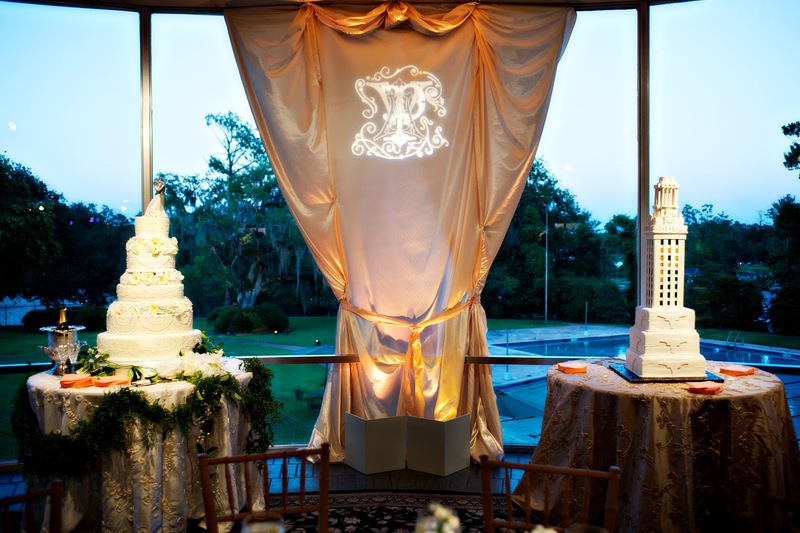 Will and I arrived upstairs and got to see everything and share a special moment overlooking the golf course before joining our guests downstairs.” The couple danced to “Love Me Tender” sung by Madelyn, one of April’s bridesmaids. 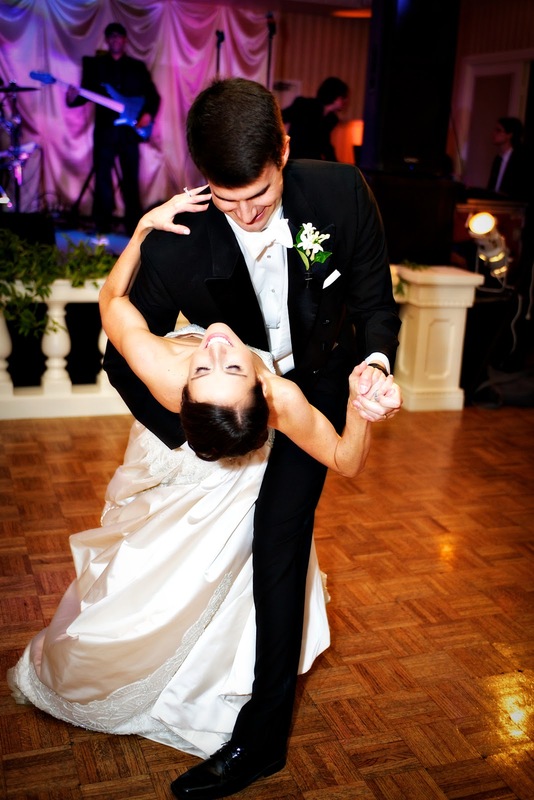 “It was priceless and meant the world to us.” Guests danced the night away. 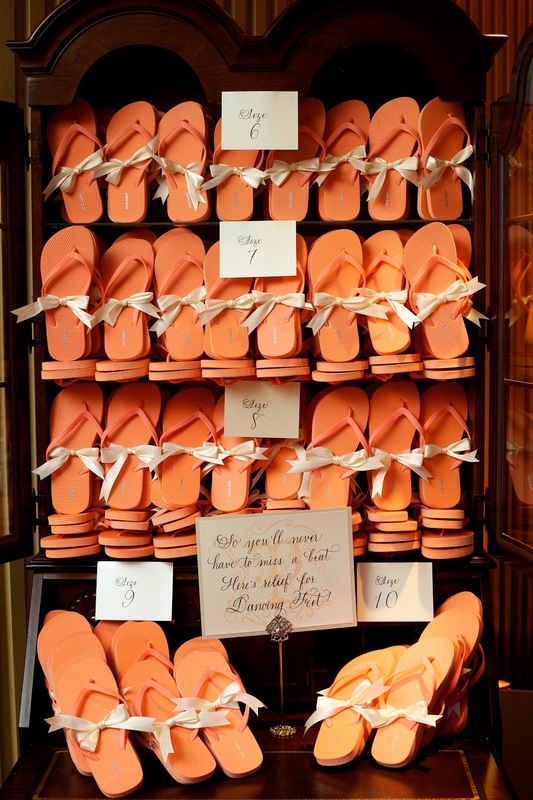 April and Will even provided peach flip flops for tired dancing feet! 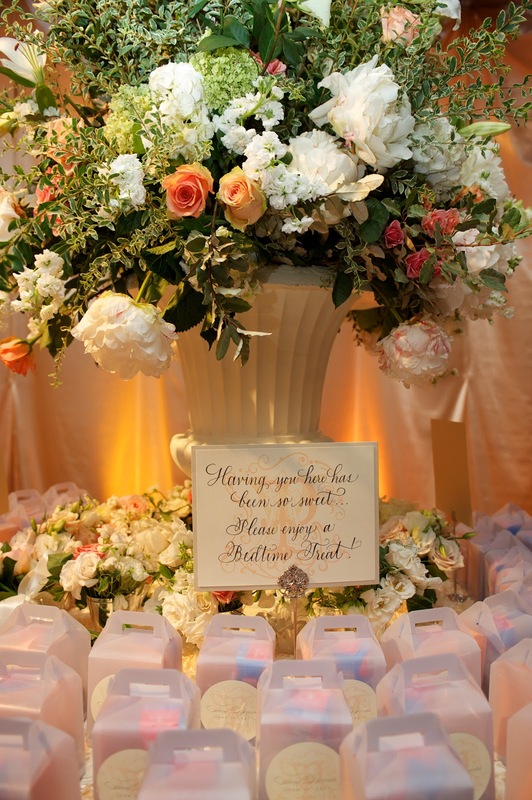 As the couple left for their honeymoon, guests tossed flower petals in the air from petal boxes designed by HH Design House. The guests received warm cookies and milk in favor boxes. Cookies and milk are Will’s favorite snack. 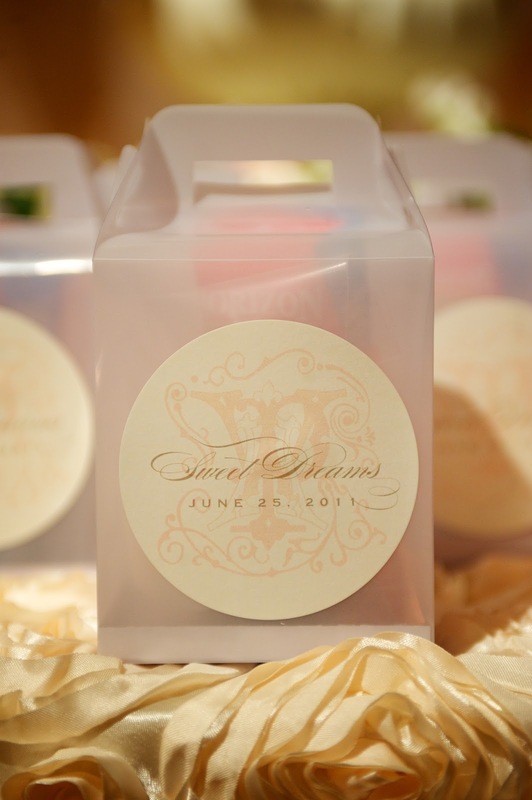 Each box was monogramed with April and Will’s “Pearce Monogram”,the wedding date, and a simple statement “Sweet Dreams”. 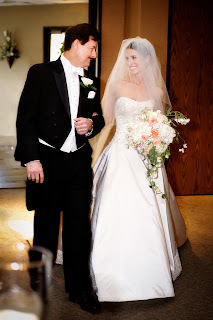 “It definitely took a team to pull off our dream wedding and I couldn’t be more thankful to my mom for her countless hours of planning, arranging, meeting, brainstorming, and most importantly her love and support. And, my dad for making it all happen and being the patient, supportive, and loving dad that he is. 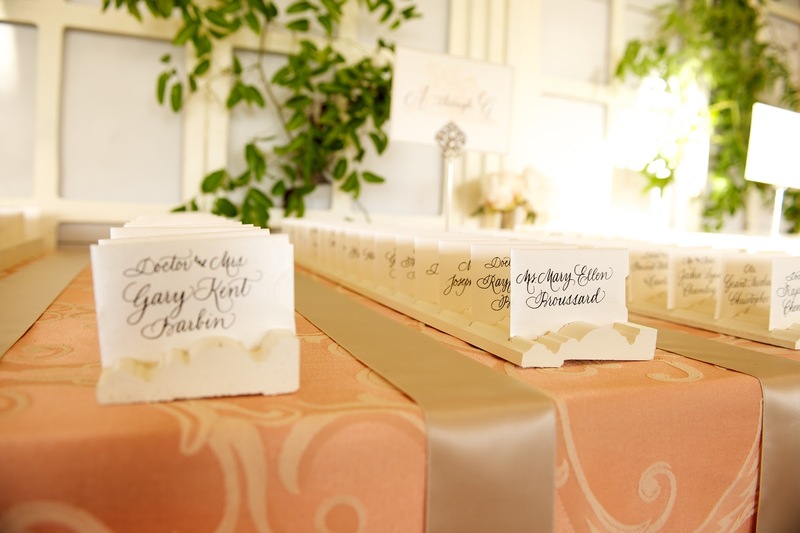 This wedding definitely could not be pulled off without our amazing vendors and friends: Hayley Hardcastle, Ashley Garmon Photography, Vanessa McKellar, Jonathan Andrew Sage, Bryan Gilbert, Nicole Saba, Debbie Bando, Kay Palumbo, Something Special Bakery, and The Griffins." We loved working with April and Will to contribute in making their wedding day a Sweet Dream come true!